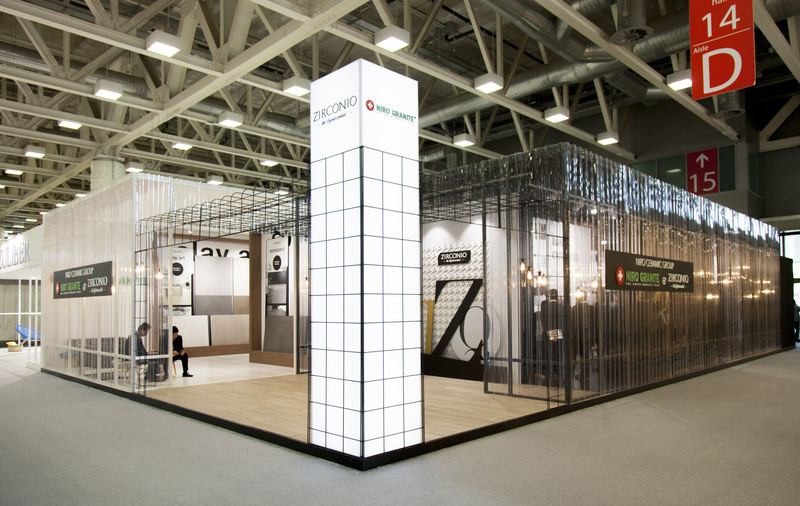 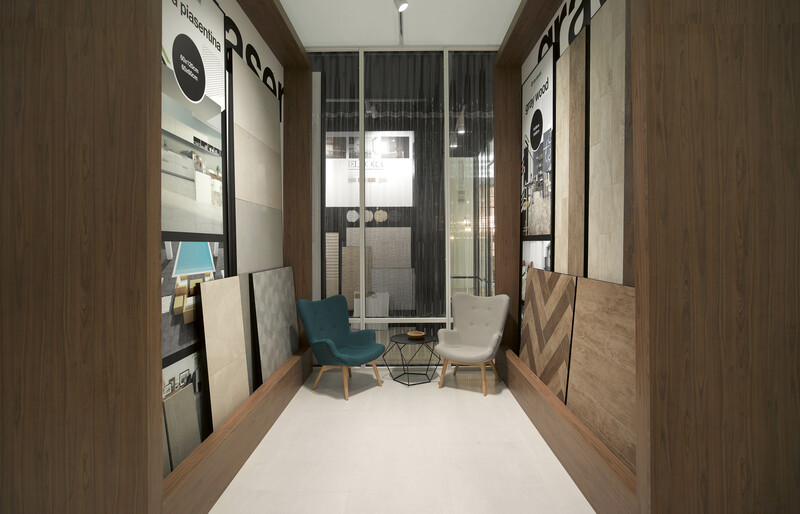 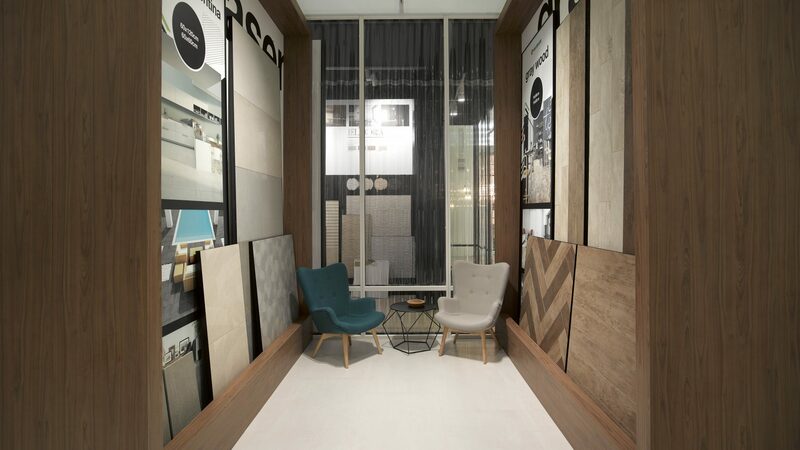 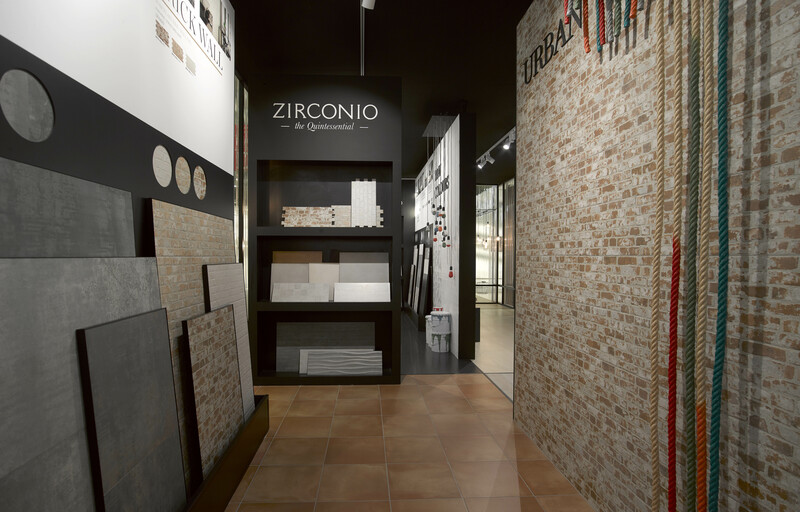 Every year we explore, develop and strengthen Niro Ceramics Group’s identity and presence at Cersaie fair. 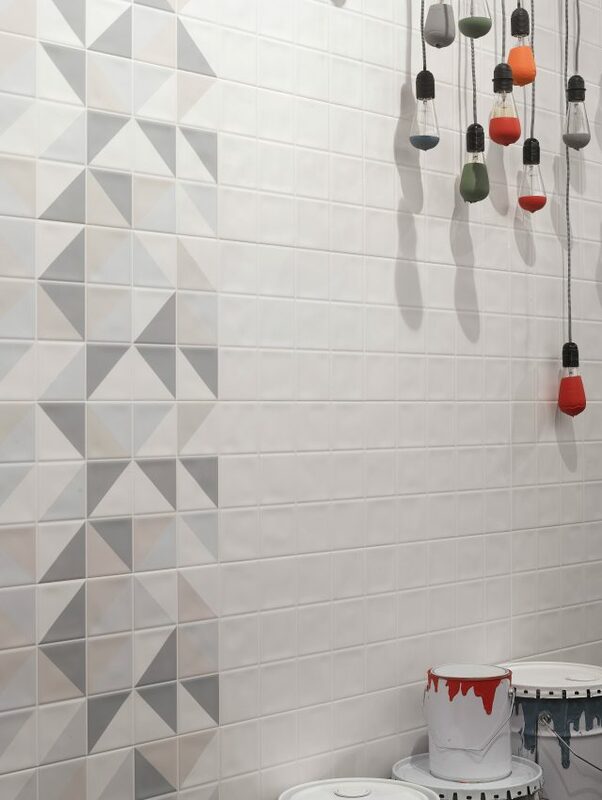 This time we decided to take their unique eclectic aesthetic to the next level by introducing a new structural material: wavy plastic. 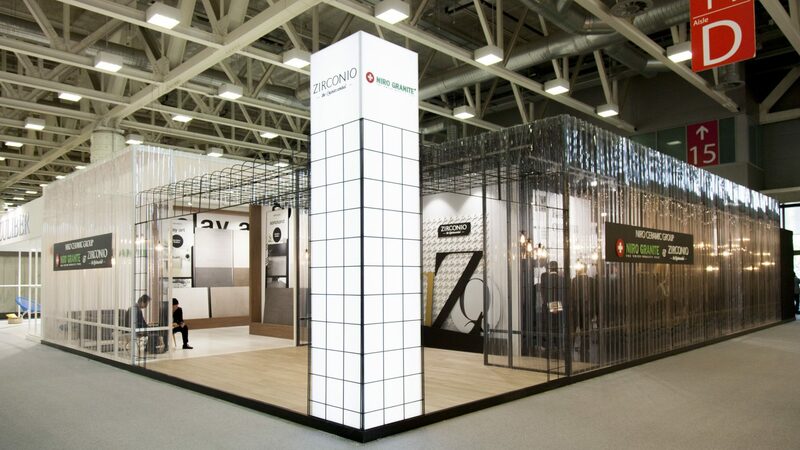 The whole exterior was covered with these translucent walls that allowed the visitor to get a glimpse of the inside at the same time that offered the industrial feeling that has characterized the group for the past two years. 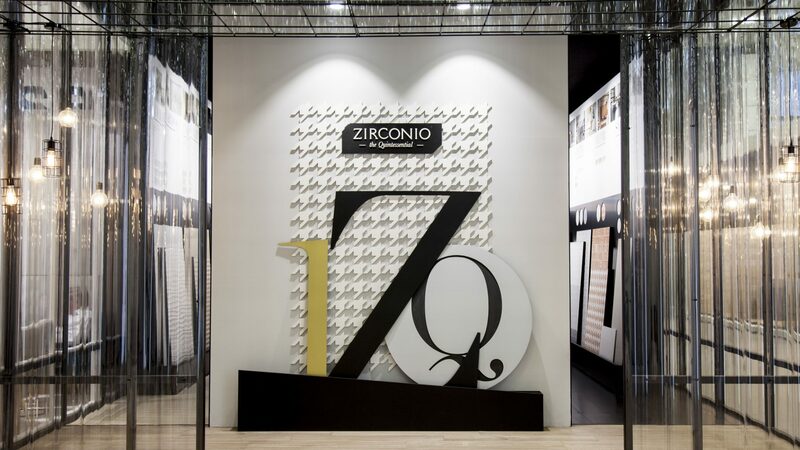 At this edition, Zirconio and Niro Granite also have separated areas that were differentiated by the shade of colours, scales and showcasing system. 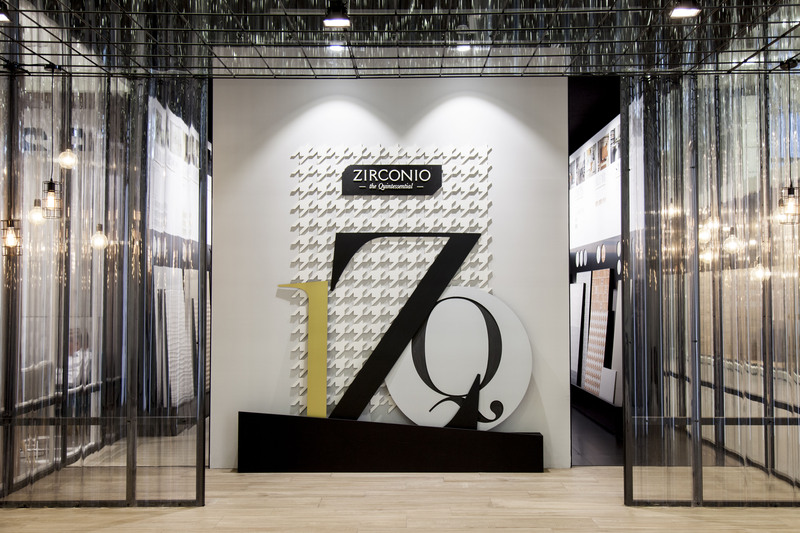 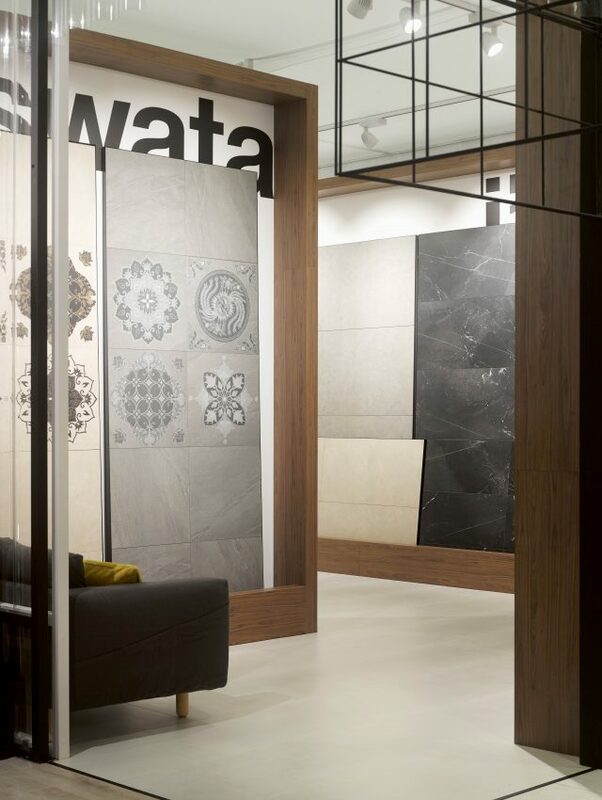 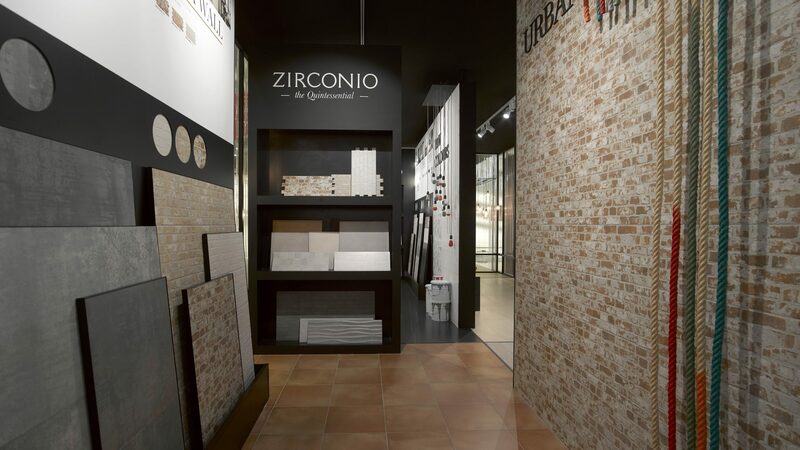 Whereas Niro Granite was white, clean and displayed their collections in a bold shelving system, Zirconio’s area had black colour predominance including four scenes inspired in their four product categories.